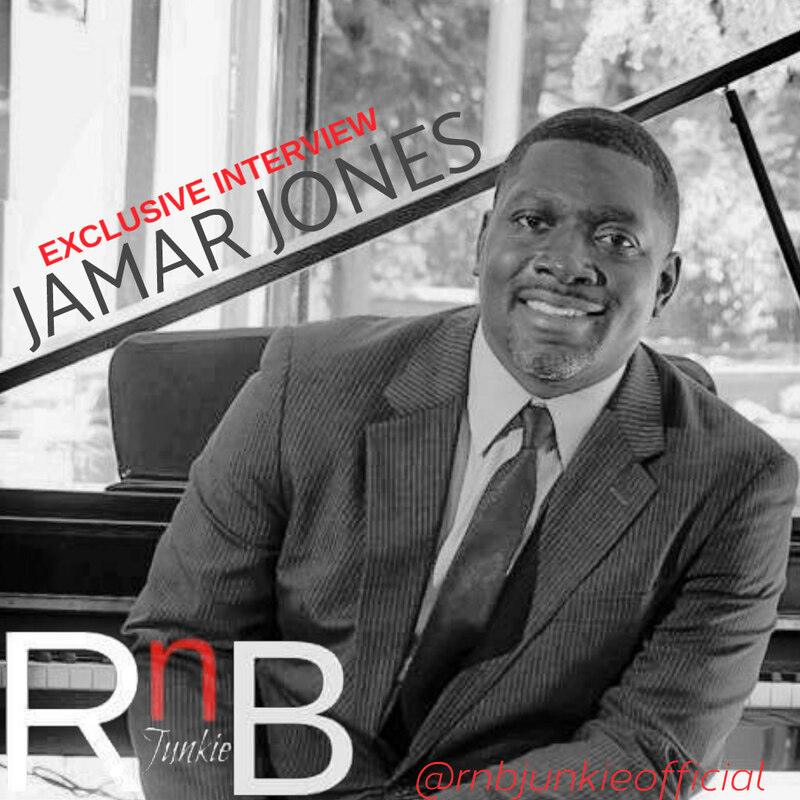 rnbjunkieofficial.com: Jamar Jones Interview: Patti LaBelle’s signee discuss Debut Album “Fatherless Child”, Touring with Jill Scott & More! Jamar Jones Interview: Patti LaBelle’s signee discuss Debut Album “Fatherless Child”, Touring with Jill Scott & More! TERRANCE: How did growing up in Philly shape you to who you are today as a musician? JAMAR JONES: Philadelphia has an incredible music heritage, music legacy. Philadelphia is known for soul music and the fact that I grew up in a place with that kind of music heritage and legacy, that probably had a direct impact on everyone from the music of Gamble & Huff to the Gospel music and Jazz and so on and so forth. We do a little bit of everything there and so it definitely intrigued me I guess into being a well-rounded musician with a world view, but at the same time I’ve always had this thing I call “The Philly Edge”. TERRANCE: After establishing yourself as a composer and producer for other artists for the past two decades, how does it feel having your own official project, Fatherless Child, out there? JAMAR JONES: It’s an intense, exciting moment for me personally. Sometimes when you play for other people as you just mentioned, you hide behind what they do, but for the long time I wasn’t certain that my voice mattered and for me to now get to this point in my life when I become not just comfortable with my voice, the message and music that I have means something to people. It was meant to be made, so the only way I can really explain the feeling is it’s intense, but it’s an overwhelming sense of gratitude that I have at the moment and for those who have walked the journey with me and all of those that are going to join on this journey as I go forward. TERRANCE: The project is on Ms. Patti LaBelle’s imprint label GPE Records. Can you share how you both linked up initially? JAMAR JONES: Sure. Years ago, maybe about 15 years ago at this point I was asked to do a string arrangement for Patti LaBelle on a song for an album that she was preparing and not only that, but I was able to develop a relationship with her management team at the time and the rest is history. I’ve worked with her in several different venues over the years up to her most recent musical works which was producing Bel Hommage, her Jazz album that came out in 2017. That was her first record release in ten years, so I had that privilege and then we did a Christmas album and now we have this album and then we have some new music that we’re about to start working on too as well. Again, I said about 15 years but it may have been longer because it feels like she’s always been a part of my life. She’s like the mother of Philadelphia. TERRANCE: Talk about how you came up with the title and was there a theme built upon as you were creating this project? JAMAR JONES: The title came out of a personal experience that I had where I was just searching for some answers and definition in life and for me as a black man, one of the things we often don’t do is, sometimes we don’t go to therapy or those types of things. I ended up going to therapy and it was in a therapy session where I was led to realize, I never really, really dealt with the underlying emotion that I had from losing my father. Essentially after successfully going through the counseling sessions I decided that I wanted to really not only just have expression to talk about the emotion but really to help others and Fatherless Child is where the title came from. It started off with my life story at the age of 3 years old and then it takes you through a musical biography for me that leads you to where I am now as a man. A Fatherless Child who has become a father in life. 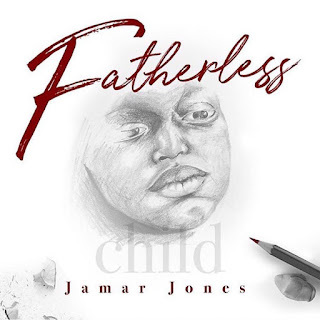 TERRANCE: What did each artist featured on Fatherless Child bring to the project you appreciated? JAMAR JONES: Great question. Okay, let me talk about my childhood friend Vivian Green. That’s my homegirl man. We actually kind of grew up together and I’m kind of giving you a little backstory on her. The first song I ever co-produced and co-wrote was “Dear God” by Boyz II Men and she also co-wrote that with me, so of course there’s relationship. Viv brings to the project an innocence and of course her amazing vocal skills. She does “Blackbird” originally by The Beatles. It’s a really important lyric to me. Because she really knows me, I’m not a singer, I’m a musician and she actually sing it as if I could sing. That’s exactly how I would sing it. That’s what she brought. 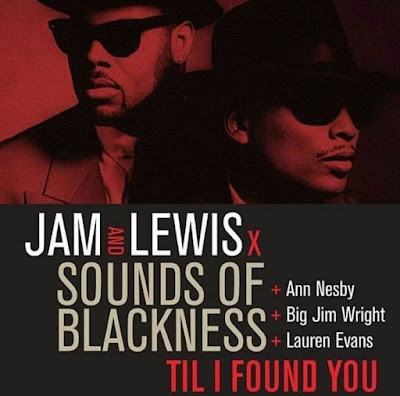 Another singer Glenn Lewis brought the passion of the lyric that Montell Jordan wrote on “Searching for Answers”, but he delivered it somewhat like Stevie Wonder. That’s the only way I would like to classify it. I could’ve got Stevie Wonder to do the song and we probably would’ve been having a different discussion, but I got something just as equal to Stevie and again Glenn added passion as if it was me. He took on the same passion as I had about the song. Patti LaBelle brings to the project of course an innocence and what’s unique about the song that she sings which is “Promise” which is written by Tracy Chapman is it’s very opposite of what we’re used to from her. We’re used to her kind of coming in and knocking out people and kicking shoes off (laughs), but “Promise” is really a part of the story where Ms. Pat brings an emotion where only a woman of her maturity could bring to a project like that. One other singer that I featured on the project is Elgin Johnson. He’s a very good friend of mine and I did a Seal remake called “Touch” and Elgin again, amazing vocalist and just like all of the other singers, he translated vocally what I was just trying to tell in my heart, in my spirit and in my mind and soul and you’re probably going to hear more from him in the future as we work on more music. So they all brought the same thing without even directly knowing each other which made this project so incredible. TERRANCE: If there’s one song on the album that resonates with your current state of mind, what would it be and why? JAMAR JONES: There’s an instrumental piece called, “Beauty for Ashes” and at the current state of mind, it’s just that life can be filled with ashes, you know? But you gotta take a look at whatever beauty God has given you in spite of those ashes. For me, the piano was given to me so that’s the beauty amongst the ashes. I have an amazing wife who is in the military Sergeant Alicia Jones and she’s the beauty for the ashes. I love her. I’ve been blessed with three incredible kids. So for every negative experience that I’ve gone through that’s definitely my current state of mind. I’m trying to recognize all of the beauty like the fact I get to be talking to Terrance right now from RnB Junkie, that’s the “Beauty for Ashes”, you know what I mean? That’s my state of mind. TERRANCE: You’re currently on the road with Jill Scott for her Live in the Moment tour. Talk about the role you play in the show. JAMAR JONES: With Jill, I’m in her band which I’ve been on and off for probably the last 12 or 13 years or so. I play keys primarily but when we talk about the ‘Live In the Moment’ tour we actually have all been given a very specific position inside of what she’s trying to do musically. I think my position comes somewhere between providing minstrelsy and therapy from the keys, so every night at the end of the show there’s about a five to seven minute space where I get to take the audience on whatever so journey I so choose and whatever I’m feeling in the moment and that kind of prepares her and prepares us for “He Loves Me”. It’s been an incredible experience because I think in that moment in some way I provide some type of therapy for people and a release. The response has been overwhelming, so much so that I’ve had hundreds of people wanting to meet with me after the show. It’s been an incredible experience and moment. TERRANCE: What do you hope listeners take away from the Fatherless Child experience? JAMAR JONES: I hope that they take away an enlightenment. I hope that they take away understanding I guess the power and nature of emotional expression. I hope that they take away the fact that we need piano’s and not prison for our children. I hope that it leads to people recognizing that even though we might not all have the same experience, we all experience the same emotion and if you were in an emotional prison then there is hope. You can go somewhere and get help. Those are my main takeaways from this one. TERRANCE: Any final words you would like to share with the readers about yourself or your music? JAMAR JONES: Well, something that people should know is that I have an incredible interest in sharing with those that were like me that didn’t have. I teach Music at University of Texas at Arlington, so I’m like a College Professor and at the same time I grew up in Church, so I’m still heavily involved in Church. In terms of the music itself, when you listen to the music, please listen to it with an open mind. Every song on there at some point in time I’m going to talk about I guess what it means and where it came from and really kind of tell the story of the music even as it evolves and how we evolve and how we grow. I think Fatherless Child represents the fact there’s a child in all of us that’s yearning and seeking expression. 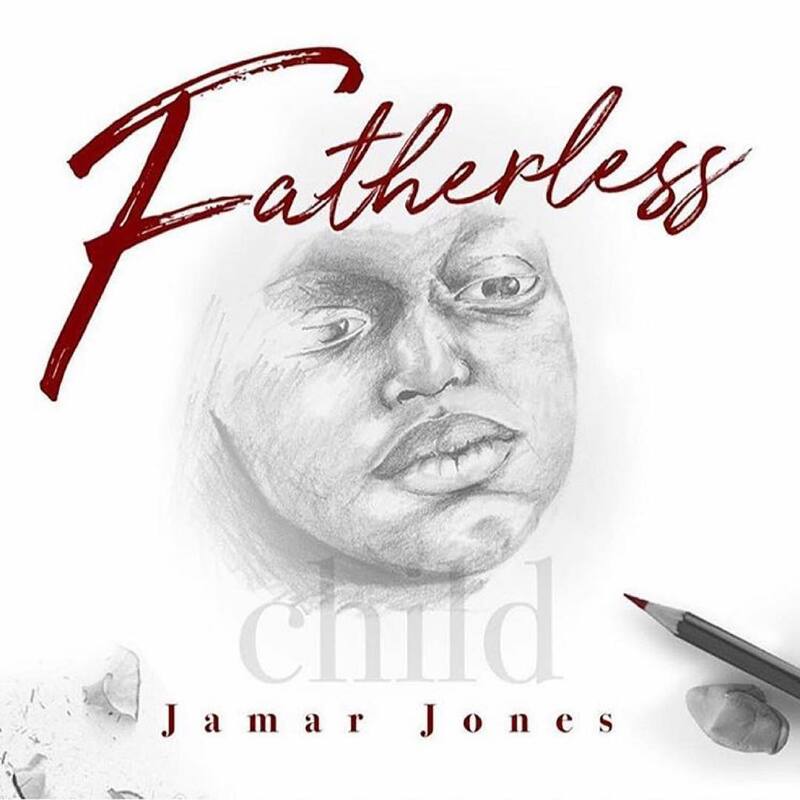 Fatherless Child is available on all physical and digital platforms where music is purchased.